Paranoia, suspense and thriller take centre stage in the ambitious French production Disorder, in which director Alice Winocour makes a surprising foray into the well honed genre territory. Featuring Belgian actor Matthias Schoenaerts (A Little Chaos, Far From The Maddening Crowd, Suite Francaise), the film is a dramatic change of direction from Winocour. Her directorial debut Augustine, a stylish costume historical drama, saw her film being nominated for best foreign film at the 88th Academy Awards in 2013. Schoenaerts’s ever-ascending star means that we’ve barely seen him off our screens these last few years. He is also almost unrecognisable from role to role, which makes him into someone to look out for. 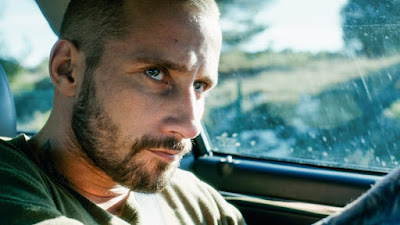 In Disorder, Schoenaerts puts in a masterful, claustrophobic, visceral performance as Vincent, a soldier suffering from severe Post Traumatic Stress Disorder. Fresh from a tour of duty in Afghanistan and a faint hint that this might have been his last tour, Vincent finds himself in need of taking on private security jobs with fellow ex soldiers. Along with some of his friends, Vincent is assigned to a rich Lebanese businessman Whalid (Percy Kemp) at a glitzy party attended by a who’s who of rich Europeans political heads, where deals are made behind closed doors and shrouded in secrets. Things take a turn for the weird when the next morning Vincent is asked to stay on at the house and take on security duties for Whalid’s wife Jessie (Diane Kruger) and their son Ali (Zaïd Errougui-Demonsant), while he makes an urgent business trip. Kruger, who we see jumping with impressive ease from French to English in this role, is unfortunately not given much to work with, apart from the icy exchanges with her husband, we see her give the odd order at the help, or be rescued from would-be kidnappers by Vincent. Her obvious attraction to her new security guard is somewhat stunted by his jumpiness, and further descent into paranoia and distrust of everyone around him. As Vincent slowly loses grip on reality, we are almost forced to wonder whether there is real danger or if all this is all in his head. Mike Lévy’s (DJ Gesaffelstein) stunning film score takes centre stage from the get-go. It is as much part of the narrative as the sparse dialogue in the film, which in turn makes Disorder into a very watchable genre movie. It is only let down by a slight weakness of plot in the third act. However, this should not take away from the very commendable directing prowess of Winocour, which could easily see her take on the big boys of action thriller of Hollywood with ease. All in all Disorder was a mixed bag with detailed action sequences and dramatic performance by its male leads, but was slightly let down by a script which went off the rails by the third act. Disorder has just been released on DVD/Blu-ray in the UK. It is out on limited release in the US on the 12th of August.